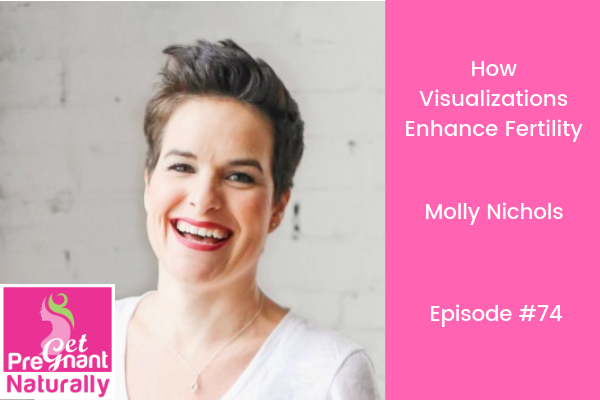 I’m excited to welcome Molly Nichols to the podcast. We’re digging into guided fertility visualizations and how they can help during the fertility journey. Molly Nichols is a renowned fertility coach, certified energy healer, and teacher who specializes in educating women on how to uncover and heal the deeper mental, emotional, and spiritual causes of infertility through the use of fertility visualizations, spiritual practices, and an understanding of the mind-body-spirit connection to fertility. Molly helps women connect with a deeper sense of self, heal from the past, trust in the inner wisdom of their bodies, and open their hearts and wombs to conception; thereby deepening their connection with the spirit of their babies. Molly’s own personal seven year fertility journey ended joyfully with the birth of her twins who were conceived through IVF, and two years later, Molly became pregnant for a second time – naturally! She attributes both of her pregnancies to the use of fertility visualizations and the healing powers of the mind-body-spirit connection; techniques she now teaches and shares with the world. A big part of preconception health is strengthening our mindset. This is crucial as we face the ups and downs of the fertility journey. Setting a daily routine….which can include journalling, meditation, visualization and positive affirmations….sets us up for success and keeps us on an even keel. I know when I don’t meditate or do some form of daily positive practice…I feel more easily agitated and my mood seems to get away from me! Let’s learn how to strengthen our mindset. 1) Why the things we want are so hard to believe in…and why even the word believe…is so triggering for someone on the fertility journey. 2) How our negativity bias impacts our ability to manifest or really believe in a positive outcome. 3) How to re-frame and ultimately release our fears. 4) Experience a deeply moving fertility visualization…and receive a message from your future child. So powerful – it brought me to tears.